Come 2021, the Ritz-Carlton and JW Marriott brands will make their Sri Lanka debut in Colombo, set to be part of a new luxury mixed-use complex that will also house the tallest building in South Asia. Three glass towers will rise within the luxury project, named The One, set on 37.2ha of prime property at Transworks Square, Colombo 1. In addition to The Ritz-Carlton, Colombo and JW Marriott Colombo, the complex will include a combination of offices and residences, high-end retail, a banquet hall, collective fine dining experiences and a helipad. The two Marriott branded hotel will be built in adjacent towers, with the third 92-floor tower slated to be South Asia’s tallest building soaring at a height of 376m. A restored heritage structure is also a part of this project. The Ritz-Carlton, Colombo will feature 200 guestrooms and 187 branded residences. It will offer guests and residents four dining options, including a specialty restaurant, as well as two lounges, a pool bar and a signature Ritz-Carlton Spa. 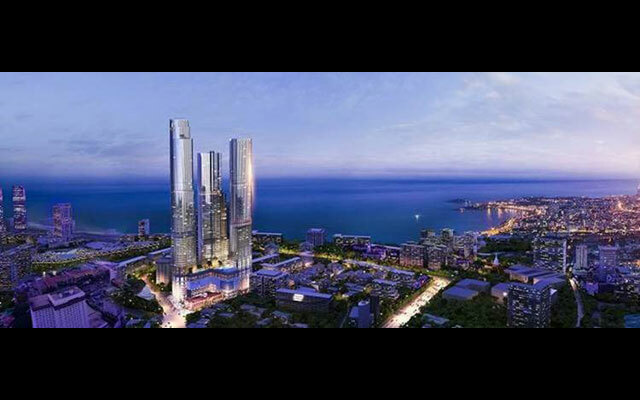 JW Marriott Colombo will boast 250 hotel rooms and 218 residences on high floors that will offer views of the Indian Ocean. Dining options will include three culinary outlets and a lobby lounge, with an additional 1,870m2 of banquet space for intimate ceremonies, social gatherings and business meetings. The project is a partnership between One Transworks Square and Marriott International.